Hi there, I am traveling to Thailand on 2nd of March this year and will be in Bangkok, Pattaya, catching ferry from Trat to Koh Chang, Koh Mak. Is there a need for us to take anti malaria medication? No, we do not recommend the use of malaria prevention medication in Thailand. Just use mosquito repellent and whenever you have fever, please go to see a doctor. I’ve recently been to Thailand for three weeks of which I spent 1 week in Umphang and then proceeded to travel to Canada where I am now. After arriving here I feel a bit sick and may have had a little bit of a fever, too. I didn’t go to a doctor because it just feels like a slight flu. (Maybe I’m paranoid and over reacting and it just the Jet Lag and the big temperature difference I’m not used to) But do you think I could have malaria and should see a doctor? We cannot give specific medical advice via the Internet. So to be safe, if you’re not sure, you should consider to see a doctor. Hi! I will be teaching english in the town of Bangsaphan in Prachuap Khiri Khan province from November-March. I really do not want to take antimalarial pills, but I am a bit nervous, because my town is not too far from the border of Burma. What are your thoughts? We do not recommend the use of antimalarial pill for prevention of malaria in Thailand. Do use insect repellent and whenever you have fever, just go to see a doctor. I will be in North Thailand in June 2017. My fiance lives in Phayao. Thailand is not a malaria high risk area. I should just use some sort of insect repellent when outdoors and all should be well while visiting Phayao? Yes, that’s right. Mosquito prevention is the key that we recommended. However if you develop fever, please go to see a doctor. Dengue is much more common than malaria. I went on a 3 week trip to Bangkok and Chang Mai with my daughter of 4 years old. We got back a week again and she has cold we went to the doctor I mentioned I was in Thailand. He said that it is just a simple cold. However then I told my father that she has a cold and he started with Malaria now I am really worrying could this be the beginning of Malaria how likely at this period there is Malaria? The incubation period of malaria is usually between 2 weeks to several months. Malaria usually associated with high grade fever, respiratory symptoms is not common. It is good that you mention to your doctor that you and your daughter have been to Thailand. Unfortunately we cannot give any specific advice/recommendation according to your daughter’s symptoms. Please discuss with your doctor about your concern. Thank you for this informative article, it is very important to have this kind of info before travelling, specially to places like Thailand with big jungles and open up nature. As travellers we need to take all the preventions in order to live a full and happy experience. Hello. I am planning on staying in Pai for about four weeks in November, training Muay Thai, doing some motorcycle trips in and around the area, etc. Are there any shots or medications that you would suggest? (FYI, I’m 60 year old from US and traveling alone.) Thank you. 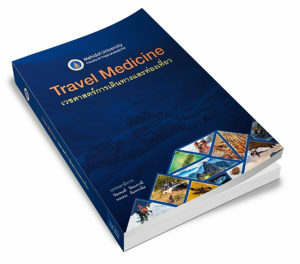 Basic vaccines that generally recommend for travelers to Thailand are JE vaccine, HepA/B, rabies and Tdap vaccine. By the way, you should visit your doctor to discuss in detail. Hi I am flying into Surat Thani and transferring to donsak pier to get to Ko Samui. All between 4-7pm. Could anyone advise if there are any Malaria risks during this journey? Risk of malaria in your case is very low. However mosquito bite prevention is recommended. Hello. We are wanting to Travel to Thailand in December with out 2 year old and 3 month old baby. We will be mainly in Bangkok and Puket. Would you recommend us traveling with a 3 month old in terms of health safely? Bangkok and Phuket is not the risk area of malaria. However there might be some risk of other mosquito borne diseases including dengue infection. So mosquito prevention is recommended. we are a family of 5 (2 adults and children of 2, 7 and 10 years) going to Thailand in December 2017 to Bangkok, Hua Hin and Koh Samui. According to the above, I am concluding that we should not take malaria pills. Is that correctly understood? We do not recommend the use of malaria preventive medication in Thailand. There is no malaria risk in Bangkok, HuaHin Beach and in most parts of Koh Samui. I was prescribed Lariam but after reading the side effects of anxiety depression etc (I already have anxiety) I decided I don’t want to run the risk of my anxiety getting worse. Wondering if I should go back and get another script for a different type of anti malarial? Is my itinerary high risk? We do not recommend the use of antimalarial prophylaxis in Thailand. Hello, right now I am in Thailand since one month. I’ve been travelling in the provinces Chumphon, Prachuap Khiri Khan and Kanchanaburi. During that time I also went to national parks like the Sam Roi Yod National Park. Since 3 days I have a unregular fever and feel dizzy especially when standing. I don’t have any chills, headache and no muscle pain. Yesterday I went to hospital and was tested negatively on Dengue Fever. Do you think with these symptoms it is possible that I have Malaria? What should be the next step? Malaria should be in the possible list of all fever developed after or during visiting risk area. Anyway, we cannot give specific medical advice in this blog including your case. By the way, if you have fever, or not getting better or have any concern; it is recommend to see a doctor again. Hello, I am travelling in Thailand since 6th of April mostly in touristic area (Hua Hin, Jomtien, Koh Samet, Koh Chang, BKK) but since yesterday I am in Isaan (Nong Kung Si, Sahatsakhan, Kalasin area) until 30th of April. Yesterday night in our resort I got biten by mosquito altough I am using mosquito repellent. Now I fear of Malaria. I have a anti malaria tablet with me which my Austrian doctor gave me for my trip. STADA 250mg Atovaquon/100mg Proguanilhydrochlorid. Should I take them for safety reasons as prophylaxis or not? Many thanks for your answer and best regards. Dear Sirs, I would appreciate your answer very much. Many thanks and kind regards. There’s nothing to be worried at this point. Not all mosquito carry malaria. In fact, very, very few of them did carry malaria. However, you should go to see doctor if you have fever. Anyway, just enjoy your trip and continue measure against mosquito bite. There are some risk of malaria in the rural area of Srisaket especially near Thai-Cambodian border. Anyway, the risk is not that high. We do not recommend to use antimalarial medication to prevent malaria in Thailand. Just prevent yourself from mosquito bite and aware sign/symptoms of malaria. I´m an expat living in Bangkok – But going to Koh Chang (First time), for a few days from 1st may – 5th May (4 nights). and then back to Bangkok. Should I be concern about any risk of engaging malaria during my stay at Koh Chang, as far as I can read, the risk is almost 0 at Koh Chang even though closed to Cambodian border. Your risk to get malaria during 4 days in Koh Chang is extremely low. We do not recommend her to use antimalarial medication also. Just use insect repellent. Hello, I’m writing a comment again as the previous one seems to have disappared. So, me and my husband are travelling from bangkok to chiang mai, staying there 6 days, maybe having a trip around, up to Pai and also visit some park if possible. Then, off to Cambodia, and then back in Thailand to Koh Lanta and Koh lipe. Would you think, at least regarding for Thailand, these areas are highly at risk right now? Your risk is very low especially if you travel during the next few months which is our winter. We are flying to Thailand (Bangkok) tommorow (5th July), with my girlfriend. I don’t want to take any risk, and we are afraid of the antimalarial medication(so we’ll not take it), especially because she’s pregnant. Do we take any risks ? Can you give us some advices ? Thank you very much for your answer. According to your itinerary, your risk to get malaria is extremely low especially if you use insect repellent regularly when going outdoor. We do not recommend her to use antimalarial medication also. Just use insect repellent. Hi, I am planning to travel to Koh Kut (Koh Kood) and Koh Chang with my 7 year old daughter. Is there still a risk of malaria there? Unfortunately mosquitoes ‘love’ my daughter and she often gets bidden even with all normal preventions in place. We cannot say or guarantee that there is no malaria risk in those two islands. But the chance for you to get malaria there is very, very small. According to your itinerary, your risk is very, very low especially in the winter season like this. We do not recommend the use of antimalarial medication to prevent malaria in Thailand. Just prevent yourself from mosquito bite and aware sign/symptoms of malaria. In early December we will fly to Bangkok and would like to learn kitesurfing. Now we do not know whether it is better to go to Phuket or Chumphon especially concerning malaria. Chumphon seem to be affected by malaria? Can you give us some advice, where to go best? I´m asking because one of us is pregnant. Risk of malaria in Phuket is virtually nil. But in some part of Chumphon, especially near the border area, there is some risk of malaria. So Phuket is much safer in term of malaria. Well, it is a risk area. Please use the insect repellent and aware sign/symptoms of malaria. Hi, my wife and two daughters (2 and 3 years old) are planning to visit Mae Hong Son and Mae Sai for a total of one month from July 15 to Aug 15. What would you recommend? We do not recommend the use of antimalarial medication for prevention of malaria in Thailand. But it doesn’t mean that your family do not need to prevent malaria. By the way, there is no malaria in the city of Mae Hong Son and city of Mae Sai. However if you plan to visit some more rural area. Please use the insect repellent and follow ABCD guideline from WHO. Will be spending couple of days at Koh Samui and then travelling from Surat Thani to Bangkok with the night train. Is there a risk of malaria in such a case? Especially on the train? any pills recommended? thanks in advance. There is no need to take antimalarial pill for traveling in Koh Samui and also the night train. Risk of malaria there is virtually nil. However, the use of insect repellent is recommended. Im going to live in Soi Dao province near Cambodia border, how much is possible to catch a malaria? If you live in Thailand, you chance to get malaria is not high. We do not recommend to use antimalarial medication. Just prevent yourself from mosquito bite and aware sign/symptoms of malaria. We will be travelling by train from Hua Hin to Chumphon in February. We will stay overnight in the Novotel and travelling on to Koh Phangan the next morning. What are the malaria risks at this time and should we take medication? We do not recommend the use antimalarial medication on your trip. Mosquito bite prevention is recommended. We are traveling from Bangkok and into the jungle around Kanchanaburi for 3 days, staying overnight in the jungle as well. Afterwords we are taking a bus south for Koh Tao and Koh Samui. The total duration of our stay in Thailand is 14-15 days. Would you with this information advise us to take Malaria preventives? Everyone should prevent themselves against malaria if visiting risk area (jungle in Karnhanaburi in your case). Follow WHO’s ABCD guideline as our reply in October. But specfically to anti malarial pill, we do not recommend to use it in Thailand. I am travelling to a mountain resort just north of Chiang Mai in April, then on to Ko Samet, Hua Hin and Krabi, should I take malaria medication? We do not recommend the use of antimalarial medication for prevention of malaria in Thailand. However, it doesn’t mean that you do not need to prevent malaria. D. Immediately seek Diagnosis and treatment if a fever develops one week or more after entering an area where there is a malaria risk, and up to 3 months after departure. I am going to KOH CHANG in January. Do I need antimalarial tablets? We do not recommend you to take antimalarial medication in Koh Chang. However, prevention of mosquito bite is necessary. DEET repellent is recommended. Please refer to this article, “Should I take antimalarial medication in Thailand?“. There is no need to take antimalarial pill for traveling in Koh Samui. Risk of malaria there is virtually nil. However, the use of insect repellent is recommended. Am travelling to Koh Samui beginning February this year.Do I need preventive antimalaria tablets? if yes which drug?